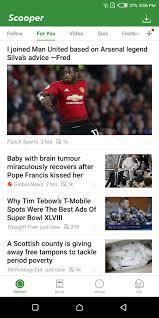 Home / App / DOWNLOAD SCOOPER TRENDING NEWS APP ON ANDROID AND EARN MONEY. 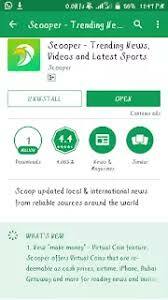 DOWNLOAD SCOOPER TRENDING NEWS APP ON ANDROID AND EARN MONEY. Scooper is the latest trending app on playstore that brings you latest content from Nigeria,Kenya,Ghana and other part of the word. 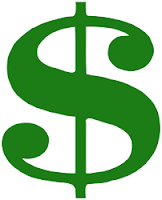 With scooper app you can make money by reading stories,new and inviting friend using your unique code. Click on the blue link to download Scooper app from playstore. 1. Register by using your facebook profile or google account. tap on it to get 5 coins. continue this step to make more coins. USE MY CODE TO GET EXTRA 5 COINS. 3. And use my code 1ZKAUI to get extra 5 coins. 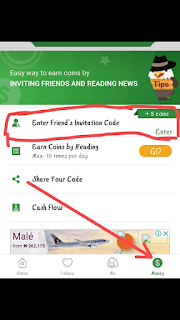 You can also invite your friends to use your referee code. You can ask me any question on this using the comment box.